Be sure to follow us on Facebook and subscribe to our newsletter to be notified of specials and new products. This entry was posted on December 23, 2018 by admin. Banners are a powerful marketing tool for businesses. If you’re looking to draw attention at a trade show, local festival, conference, or special time of year, a well-placed banner is an effective marketing strategy. 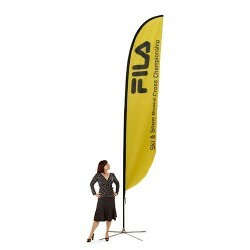 These banners can be appropriately displayed using stands that hold the banner in place and ensure maximum visibility. 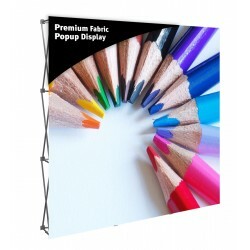 Banner stands are eye-catching, portable, and easy to use. They can be customized to the business owner’s specifications to promote the brand and attract customers. 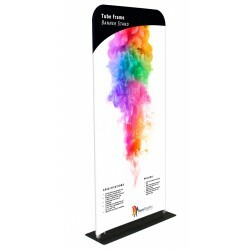 Everyone loves them, as they are a self-contained, all-in-one marketing display. If you’re getting ready to shop for a trade show display, visit us! 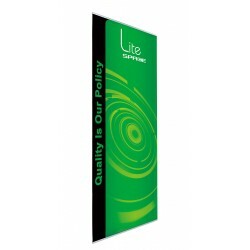 We sell high-quality banner stands and other trade show displays at our online store at affordable prices. This roll-up exhibit display offers an attractive and elegant look with high quality printed graphic including an aluminum stand. 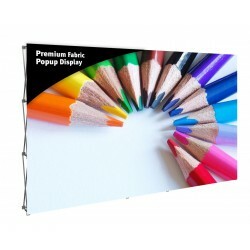 Available in a variety of sizes and shapes, you can combine each stand to form an extended wall of graphics display. 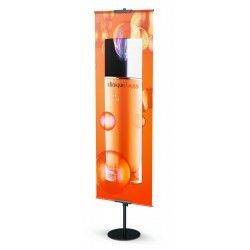 With retractable banner stands, you can create a professional impression among your trade show attendees. 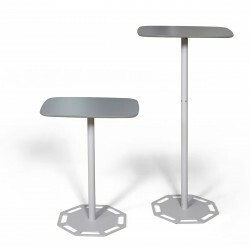 As these stands are lightweight and easy to assemble, they offer a travel-friendly solution. 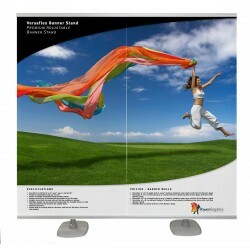 Unlike portable banner stands, the base includes a spring loaded roller that holds your banner. You can just pull up from the base to display your message and retract back for storage. 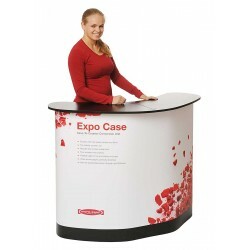 These stands are a great marketing piece in a variety of promotional environments. Check out all of our banner stands if you’re looking for a great display option on a limited budget. 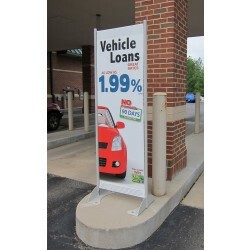 Grab attention with our outdoor banner stands. With easy to use directions, you can set up the stand in minutes. 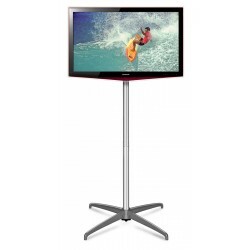 As they include weighted bases, you can easily stabilize your display for varying ground conditions. These durable systems withstand rough weather and can prevent your display from collapsing in the wind or rain. By adding attractive graphics, you can easily grab attention in a wide variety of events. 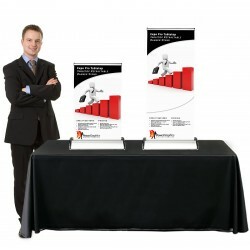 These double-sided banner stands are an excellent for advertising your business. If you’re looking to attract visitors at an outdoor corporate event, outdoor banner stands make perfect sense. To make the most of your marketing campaign, browse through our single or double sided outdoor promotional items. 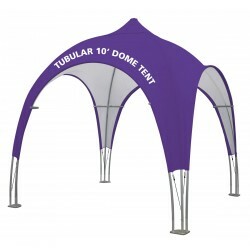 We have flag stands, feather banner and other exciting weatherproof stands at affordable prices. No more worries about graphics being damaged in shipping! 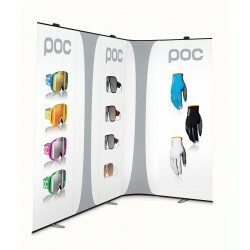 If you’re after a display stand that offers wrinkle-resistant stretch fabric graphics, then you’re in the right place. The tension fabric banner stands available in different sizes and layouts are great for exhibits, events and retail settings. The interlocking aluminum framework makes it easier to disassemble and pack into a small carrying case. The standalone advertising includes a heavy-duty metal base plate to show off your message impressively on both the sides of the durable and portable display. 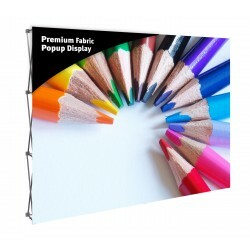 Amaze your audience with our stunning graphics produced by our experts at Banner Stand Pros. Our company offers a one-stop solution to all your banner stand requirements. If you’re looking for premium quality materials for promotional events, we’re here to help. To find out more about our products or to place an order, call us now at 877-389-8645. The Space Lite is one of the least expensive, yet most stable, portable banner stand models available. The Space Lite 33 displays a graphic with a visual area of 33.4" wide x 63" to 84.6" high. The Expo Pro Table Top retractable banner stand displays a banner with a visible size of 15" x 24" to 36".